Restaurant founded by the Hong Kong "Sushi King" Ricky Cheng. This of course is not the best sushi you can find, but you will not find a sushi restaurant with this cost performance at this convenient location in Roppongi! Sushi in Roppongi is basically expensive due to the price of rent in this area, but ITAMAE SUSHI has realized the low cost sushi shop on the main street of Roppongi. This restaurant of course is not the restaurant that offers the best quality sushi, but it is highly cost performant and the for sushi beginners, you can pay double the price and not understand the difference. 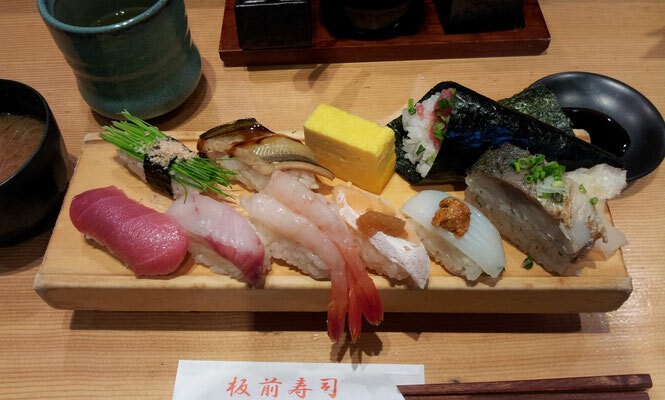 For your first visit to Japan, definitely start off your sushi journey with this restaurant here at Roppongi. 1. 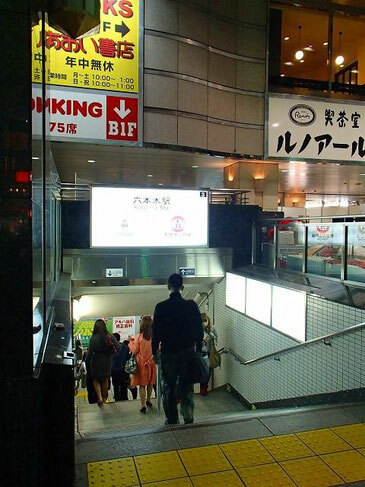 We guide you from Roppongi Station Exit 3 today. This is the most the closest station exit to the Roppongi intersection. The exit number is on the upper right hand corner of the station sign. Now facing the station, turn to your LEFT to start your way to Itemae Sushi. 2. 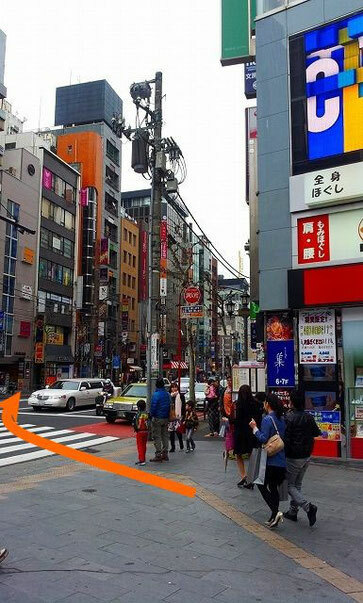 Coming from the Roppongi station, go straight to cross the Roppongi Kohsaten (the Roppongi intersection), and turn RIGHT after you cross the street. 3. 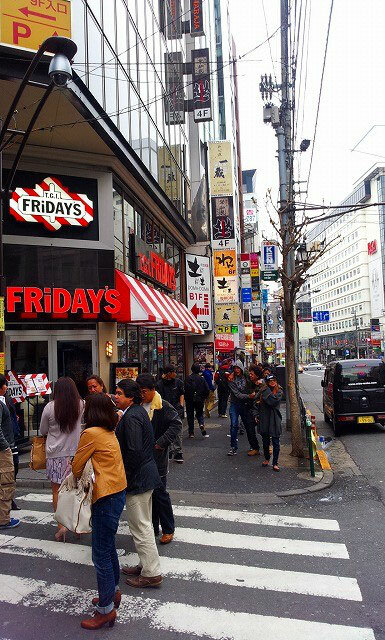 About 150 meters into the main street of Roppongi, if you see TGI FRIDAY'S, you are almost there. Itamae Sushi is in the next this block! 4. 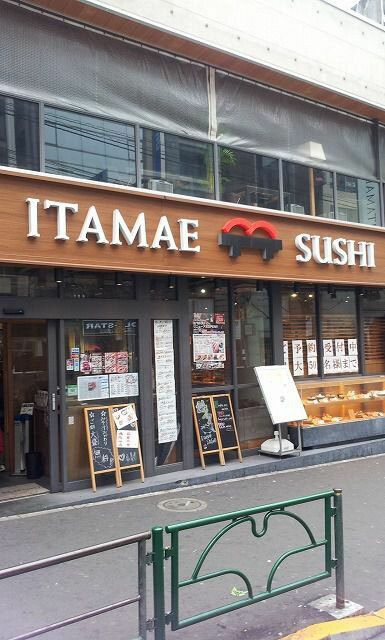 Going for about 30 meters more down the street, you'll see ITAMAE SUSHI on your LEFT. Enjoy your meal!